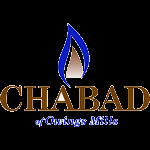 Want to keep in the loop on the latest happenings at Chabad of Owings Mills. Subscribe to our mailing list below. We'll send you information that is fresh, relevant, and important to you and our local community. Calendar advertising enables you to be seen by potential customers every day for a month or year. The Jewish Art Calendar offers a unique opportunity to promote your business with full value advertising while assisting a local non-profit Jewish organization. Advertising rates are highly competitive and are assured to bring you good return for your dollar. In addition, your ad will demonstrate your support and commitment to the Jewish community you serve. Ads can also be placed in honor of a Bar/Bat Mitzvah, wedding, or any joyous occasion. Ads should be sent in JPEG, TIFF, or PDF format on high resolution. The above price is for an entire month. You can choose as many months as you want (13 max). We mail calendars to the following areas: Owings Mills (main area), Reisterstown, Randallstown, Pikesville, and Carroll County. Please call the office at 410-356-5156 for advertising arrangements or click here to contact us.